So what are the freecharge freefund codes? It’s nothing but the series of numbers which on entering on freecharge app or website gives you the predefined amount. You can use it for doing free recharges, dth transactions & bill payments. If required, one can also transfer this freefund amount directly into bank account. 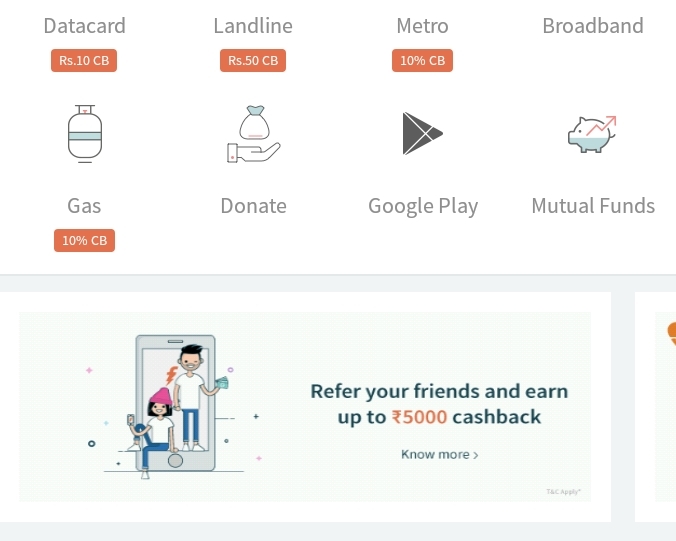 Freecharge referral program is probably the best way to earn freefund codes and here you will find more details about the offer. Also, there are certain apps that rewards you free fund codes on watching ads or trying out some new apps & games. So, let’s check them out! Wohoo! 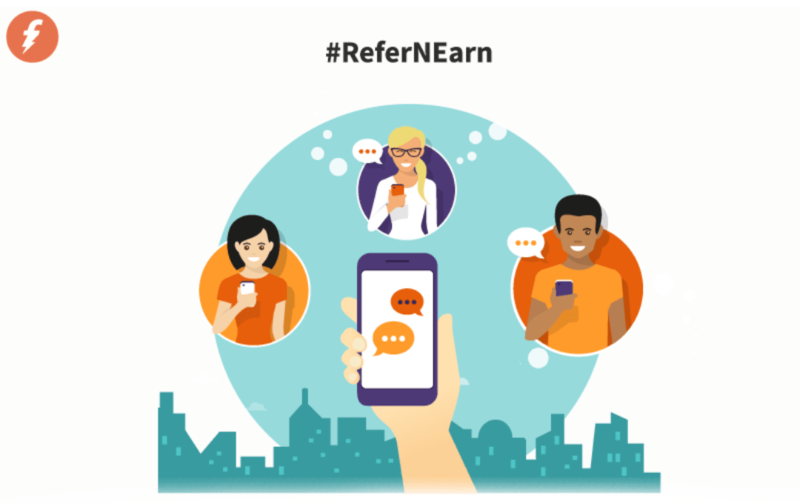 After a long wait, Freecharge “refer and earn” program is ready to rock again! Now you can easily earn 5000 Rs worth freecharge freefund codes just by referring 100 friends. Let us have a quick look at the offer details. Note : If you have never used freecharge app before then here’s great deal before you proceed further. What is Freecharge Bing Rewards Offer? Just recharge with Rs 10 or more & redeem referral code R0DWM3A to get 50 Rs cashback! Yes, you heard it right. Extra 50 Rs will be added to your wallet within 24 hours. 1] Just update your freecharge app to the latest version. 2] After opening app, you will see the banner of ‘refer & earn’ offer. If it is not there, simply exit the app and open it again. 3] Now click on “invite” button and send your referral code to all your friends via whatsapp, email or facebook. 4] Your friend will get 50 cashback on 10 Rs+ recharge after using your code (NOTE : He must be new user]. 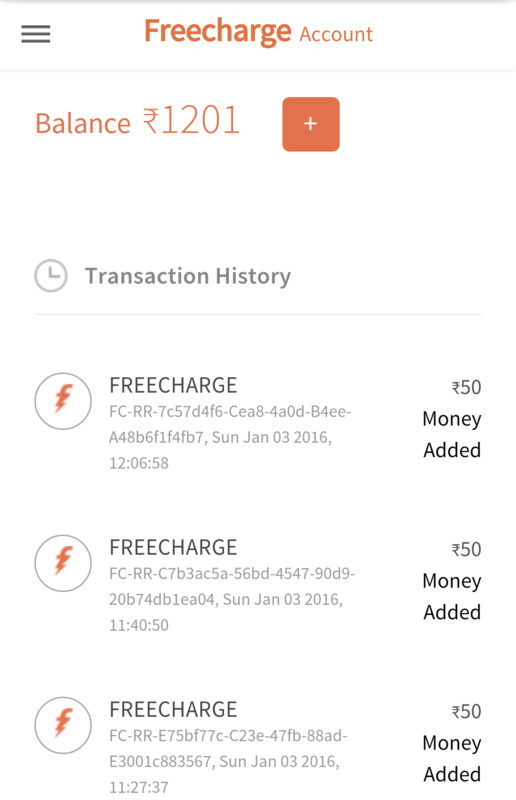 At the same time, 50 cashback will be credited in your freecharge wallet. 5] You can earn maximum of 5000 Rs by referring 100+ friends. Recommended for You : Recharge with Rs 50 and get 100% cashback. Ever wondered how can you utilize smartphone for generating decent cash? Yes, Slide app is here! All you need to do is unlock phone naturally and get paid for each swipe. 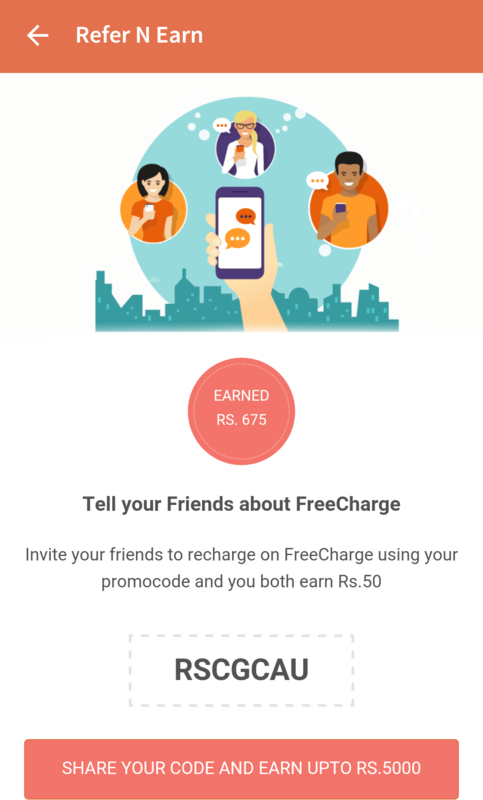 You can either use earned money for doing free recharges or redeem it against freecharge freefund codes. They also offer paytm money & reward donation features. Swagbucks often known as SB, is one of the most widely used app is United states. But now they have entered in Indian market too. You need to complete simple offers, polls & surveys to earn points. These SB credits can be then redeemed against flipkart, myntra, jabong & paypal gift cards. What’s more? You can even withdraw earnings as freecharge freefund coupons. Offers can be complete on android apps as well as from desktop site. Minimum payout is Rs 250 & for that you will need 500 SB points. Fexy is unique fashion gaming app where you can participate in contest & win cool gifts. Just download app & sign up with Facebook. You will get 15 points as a joining bonus. 1 Points equals to 1 Rupee. This way, you earn 15 Rs just for signing up. 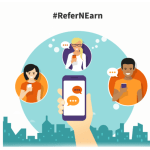 Use their refer and earn program for generating freecharge freefund code. As per convenience, you can withdraw earnings as Flipkart gift cards or Freedund codes. Bing is a web based search engine very similar to Google and it’s owned by the most popular company – MicroSoft. To compete with Google, may be they have introduced this reward campaign. 1] Register on the offer page and you will receive 10 credits instantly. 2] Now sign in to bing rewards account using details which you have entered in above step. 3] Open bing.com and start searching whatever you want. For every search query, you will receive 1 credit. 4] You can earn upto 10 credits per day by making at least 10 searches. 5] Repeat this method until you collect minimum 90 credits. 6] Now redeem those 90 credits in exchange of 30 Rs freefund code. 7] Coupon will be sent to you via both SMS and email. 8] Now goto freecharge and put your coupon in place of “I have freefund code”. After successful application, money will be added in your FC wallet. Note : You need multiple sim cards & lots of friends for earning descent money. Activate your GoMaster card, it’s free for everyone and takes only few minutes. Head over to flipkart and purchase e-gift card. Enter amount equivalent to your freecharge balance. Make sure that email address of sender’s & receiver’s are same. It’s not mandatory but it avoids confusion. If possible, enter your own email ID. Proceed to payment and choose credit card option. Now use your go master card and complete the order. Within few minutes, you will get the gift cards in mail id which was given in step 3. 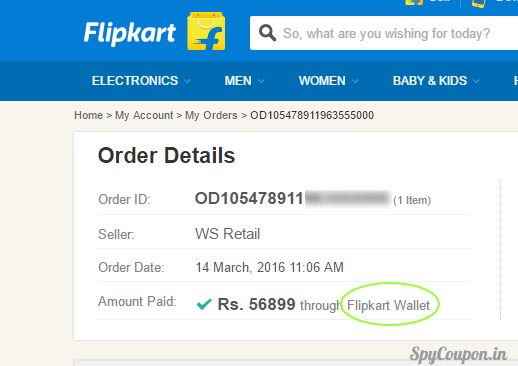 Again goto flipkart and select “wallet” option. Now, add the gift cards which you got in above step. You have successfully transferred freecharge wallet balance into flipkart account. Repeat this process again and again. See the proof! I ordered stuff worth 56,899 Rs by using this method! On high public demand, we have added 4 new apps which are giving Freecharge freefund codes on referring friends. Just invite your friends to download these apps and you will earn 10-20 Rs per refer. [Expired] Download confirmtkt app and start referring your friend via unique link. You can claim maximum of 200 Rs recharge from this offer. You can invite maximum of 20 people (10 Rs per friend). Coupon will be sent on your mail id within 24 hours. [Expired] TapCash : It gives you freecharge freefund codes worth 120 Rs after referring 10 friends. Click here to read full review of Tapash app. Download app and earn Rs 10 per friend. 3) [Expired] Traffline : This app has been downloaded by over 1 million people across the world. 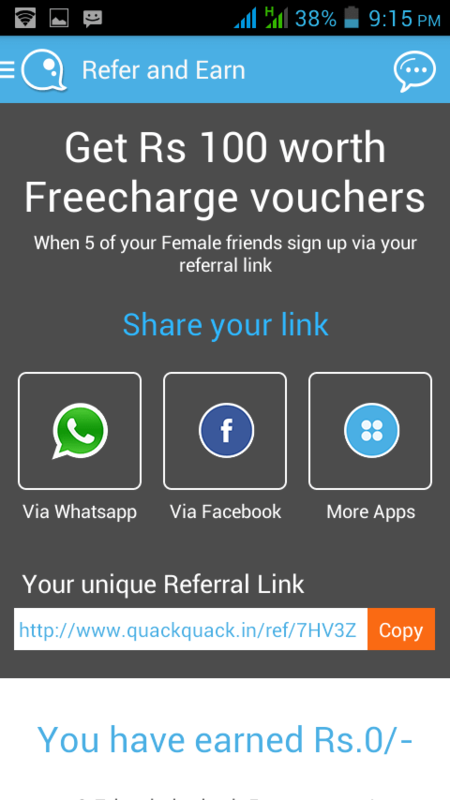 Now, it is giving 50 Rs freecharge freefund codes on referring 5 friends. You can download traffline app from play store. After installing, open the app and move to ‘refer and earn’ section located at the left sidebar. Share your unique link with mates and enjoy freecharge coupons. 4) [Expired] Quack Quack : Go to Google Play and search for this app. Register and verify your mobile number. Now go to left side bar and choose last option of ‘refer and earn’. Start inviting your mates and you will earn 20 Rs/refer. Maximum earning limit is 100 Rs. It’s available only in mobile apps, not on desktop versions. If you want, you can install BlueStacks on your laptop & run freecharge in it. 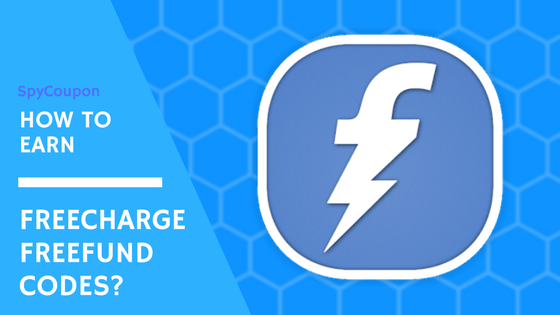 Go to Facebook & find freecharge official page. Inbox them your problem with transaction id. These guys are very fast at serving customers. the option of referring is not available.how to get.? 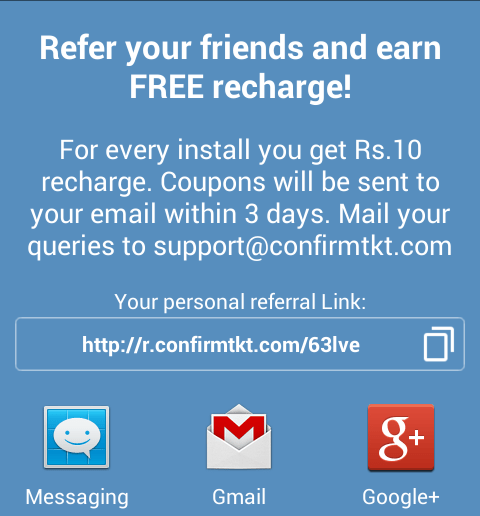 Refer and earn option has been replaced by ‘Free Recharge’. You can see it at left sidebar in the app. I recharged for rs 50 with my brother’s referral code but I didn’t got my 50rs and my brother also.. I had installed free charge by xender.. I think you need to install app through play store only. through made by airtel sim…..can i get cashback…. Probably you won’t get…still not sure. Boss freecharge pe to ab promo code dalne ka option nehi hai. Stop hogsya hai???? You might have rooted your phone, that’s why you are not getting that option. How to check rewards of bing search? It’s strange! I have never faced any problem till date. Got 5000 Rs in every account. Don’t use GoMaster card buddy. Instead use normal credit/debit card or net banking. New account registration for Bing reward program has stopped. Can you tell me the date of opening the new account registration process again. Hey bro I also want to ask that free charge money can be used to do shopping in flipkart and Amazon also. hey bro i want to ask about bing offer. if I received a freecharge coupon from one number .can i able to use that coupon on other free charge number . Yes, you can redeem it on any freecharge account. BRO can you help me????????????? Sometime it gives error..don’t worry, try it again and again. Make sure that gift card amount is slightly less than freecharge balance.